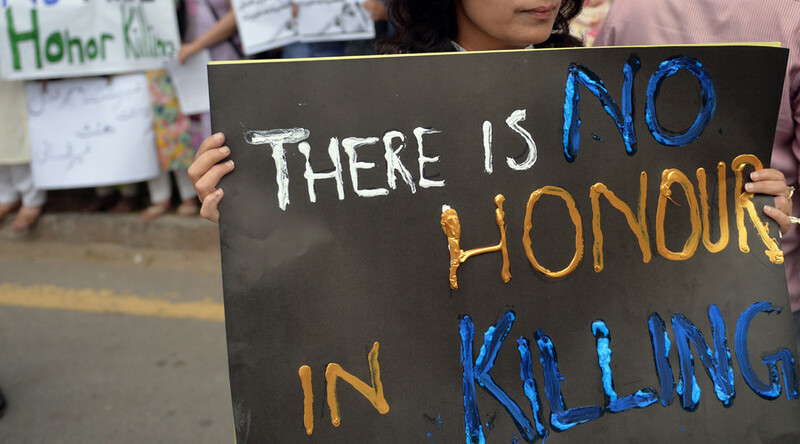 The Pakistani parliament has passed a new law against honor killings, closing a loophole that allows killers to be pardoned and avoid a prison sentence. Under the previous legislation, the killer could seek forgiveness from a family member, which would effectively let them walk free. However, the new law passed on Thursday would only allow for this to happen if they were facing the death penalty, and even in that case they would still have to serve a jail term of 12 and a half years or more. A committee comprising lawmakers from both the upper and lower houses of parliament unanimously approved the bill which was voted on Thursday. The previous law, passed in 2005, stopped men from pardoning themselves as their murdered relative’s heir, but this still left open the possibility of being pardoned by other members of the family. “We have plugged all loopholes in the anti-honor killing legislation,” said Law Minister Zaid Hamid. The law was initially drafted shortly after the murder of popular social media star Qandeel Baloch in July, who was strangled by her brother over her liberal views and activity on social networks, which he felt brought shame on the family. He told a press conference he had “no regrets.” The murder shocked people all around the world. Pakistan has long been plagued by honor killings, with around 500 women a year being killed by relatives for such offenses as marrying or eloping with a man unapproved of by the family, or failing to conform to conservative traditional values. 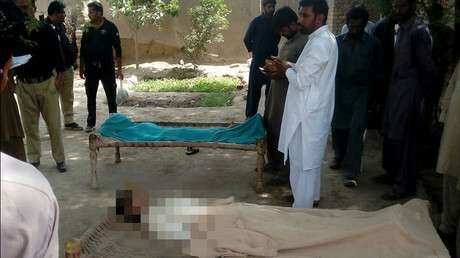 In April, a 16-year-old girl was burned alive in Donga Gali after tribal elders accused her of helping a couple run away in secret, while in June a pregnant woman had her throat slit by her parents after choosing to wed a man that she loved rather than submit to an arranged marriage.